Why We Sabotage Ourselves | Let's Live Forever! 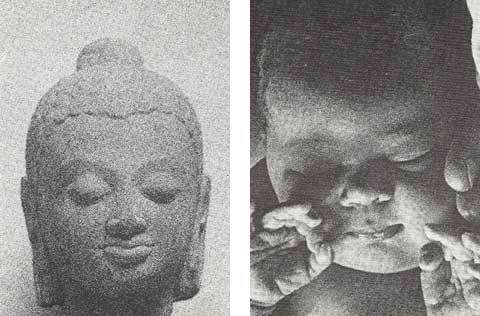 These photos are from Frederick Leboyer’s book Birth Without Violence. This book isn’t exactly new—it was first published in 1977. In the book Leboyer describes how the usual birthing practices of the day were torture to newborns, and shows how they could be vastly improved. In this post I’d like to explore how our birth experience can affect our experience of life. 1. When things are really looking up, getting stuck into alcohol, smokes, coffee, overeating or the like. 2. Just as we are having exciting developments, having an accident. 3. As we heal one physical ailment, another manifests itself. Then this happens again and again. 4. Not making the most of opportunities, for no apparent reason. It’s as though we just can’t break through to a higher level. Why is that?! Or we may know someone who seems so alive and talented, yet they keep knocking themselves out with substances or behaviours. Why do they do that?! We’ll do anything, it seems, to stop that damn aliveness. Why? Perhaps we can find some clues about this in Leboyer’s beautiful and moving book. I re-read Leboyer’s book yesterday, before writing this post. I was moved to tears for much of it. I’d imagine anyone who lets themselves be immersed in what it is saying would feel disturbed, and this would be largely because the book would be stimulating subconscious memories of their birth. I think this is a good thing, as it would be getting some stuck emotion moving—but not everyone might! For many of us, our first experience of life was pain and terror. Harsh lights hurt our eyes, chatter and loud noises surrounded us, and we were handled roughly… our delicate skin was abused, we might have been slapped, as well as held upside down, or put on our backs, so our newborn spines were suddenly stretched out painfully. As well, our first breaths were taken in panic and pain. Leboyer describes how breathing begins during a natural birth… a newborn takes his first breath when his chest first expands, on leaving the birth canal. This results in a cry, which may be followed by one or two more cries. The baby rests a little here, and is supplied with oxygen from the still-pulsating umbilical chord. The baby gradually clears his lungs and after a few minutes is breathing fully and freely. After an average of 4 or 5 minutes, the umbilical chord stops pulsating, and can be cut. The above is often considered normal and desirable—the baby is howling so therefore is breathing. 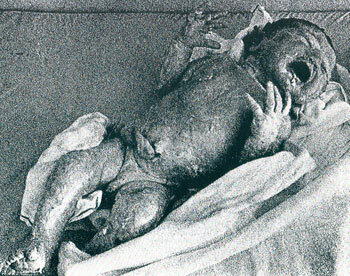 Leboyer suggests this baby is in pain and fear. Our births and first breaths were our first taste of being fully alive—or more alive than we felt where we had just been, at any rate. If these experiences were horrifying, or even less-than-great, how will we react every time we start to feel more alive, now? Will we put on the brakes, somehow? I’m suggesting that we just might. Leboyer begins his book with a quote from Gautama (the Buddha): “To be born is to suffer”. Do we have to be consigned to endless suffering, just because we had a lousy birth? Early developers of the therapy known as breathwork (or rebirthing) coined the term “birth trauma” for the trauma we went through during birth, and have kept with us throughout our life. Breathwork can help us heal ourselves of our birth trauma… somehow, through the breathing method used, we let go of old stuck body memories. And incidentally, I have had two kinesiology sessions recently, and they shifted deep stuff, too. I think that most people would heal themselves fastest if they combine a physical therapy like breathwork with consciously working with their thoughts and intuition to facilitate leading the life they want to lead. Who knows how much aliveness we will be willing to tolerate. We might even end up living forever! Well I don’t know if I was born like that or not; nor the consequences that it might have on me. All I can say is that success is sometimes frightening, specially when you are becoming something new. Hi Robin – What a fascinating post. I’d tend to agree with the author, based upon what I witnessed with my son, who as a premie had traumatic birth and highly invasive/painful early experiences. I believe a lot of his fears and difficulties with transitions arose out of being poked, prodded and stuck with needles – what his little system surely must have interpreted as colossal threats. Premies routinely respond to these stressors with apnea and bradycardia – they literally shut down and try to go back to God. What can we learn from this? To provide or look for loving acceptance in a transition? To engage in meditative or calming techniques regularly instead of rolling them out when we think we need them? (Sort of like nobody’s an atheist in a foxhole?) To realize that we self-sabotage as a protective measure? Very thought-provoking post, Robin. Thank you. I hate the idea of a baby turned upside-down and given a slap but I am not completely convinced a less-than-LeBoyer birth sets us up for a life of suffering because of it. I think babies are designed to be pretty resilient of the birthing process and I tend to agree with Maria Montessori that the real damage to a child happens with how the child is consistently talked to and treated in the first 3 years. But perhaps those first few minutes are critical. I would be very curious to see what might be discovered in a study if enough people could actually go back to their births, see what they remember and if it was traumatic, could breathing undo that trauma? And see if their lives could be improved. And follow up with them. Another thought-provoking post Robin. Thanks! Jannies last blog post..Why do you blog? I think our past experiences impact who we are today. Therefore, I think our births and first breaths are also part of who we are today. I’m not sure if our birthing experiences are directly correlated to how we react every time we start to feel alive, but it is an interesting concept to ponder. It makes perfect sense to me that a gentle birth vs. a violent birth would have some influence over how we turn out. Hi Robin: What a great post! I’ve read that even how the mother feels about being pregnant and her emotions during pregnancy can impact the personality of the baby, so I can certainly see how having a traumatic birth can have a negative impact. That photograph of the baby being held upside down is just awful. @Miguel – I know the feeling – that’s interesting the way you put it about “becoming something new” – like when we were born, perhaps. @Betsy – thanks Betsy. I gather from reading the book, and elsewhere, that it isn’t just the premmies who want to shut down and retreat to where they came from. I like your suggestions for healing – “provide or look for loving acceptance in a transition” would be very helpful, I think. @Jannie – I’d imagine any poor treatment of a child would be damaging, whether it’s at birth or over the next few years. The breathwork community know many cases of people who have recalled aspects of their birth and have used breathing to undo their birth trauma – I’m just out of the loop with that community at the moment, so can’t let you know about people who I know personally – apart from myself, of course! @Stacey – yeah – I think it’s just one more way of looking at things. @Vered – I think so. @Marelisa – Thanks! It is awful, isn’t it? The written descriptions in the book are probably worse – but I wanted to spare people the worst of it. @rainer – hi Ray – my pleasure. With Bunny, I was obsessed with having a peaceful, drug free birth. I put myself under such pressure to do it naturally, that I think I would have had a nervous breakdown if things hadn’t gone to plan and I’d had to have intervention. In the end, Bunny did have a beautiful birth (for him – for me it was hell) and was a very calm and alert baby from the moment he was born. I am happy this occurred and I still do think it’s important, but I wouldn’t get so hung up on it next time. Sometimes birth doesn’t go according to plan and that’s life. I don’t believe it will cause major long term problems if the early childhood years are loving and stable. Hi Robin. What an interesting topic! I was born a month premature, and they had to pull me out with forceps (I think that’s what they were called). I developed asthma at age 5 so there could be some connection between that birth and my breathing. Although, my asthma did mysteriously disappear when I moved out and got my own apartment. I haven’t had children and one of my greatest fears is giving birth. Luckily it won’t be happening in this lifetime. I was once told by a psychic that in a former life I died during childbirth. This post made me think that we hear so much about the pain a women endures during childbirth, but what about the baby? Not that I’m discounting what we women go through. I learned something new from your post. 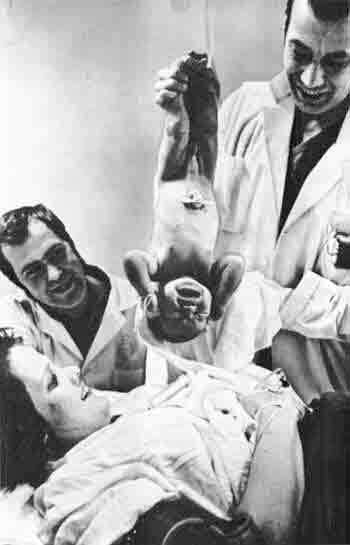 I have heard about rebirthing but never quite explored the ideas surrounding this form of therapy. If it helps to shift deep level stuff, I sure would not mind trying a couple of sessions myself. I suppose I will need to work with a therapist on a one-on-one basis for this? @Miguel – Jann Arden (Canadian singer/songwriter) lost 50 pounds last year. She looks fantastic. A good number of her fans, however, trashed her for being a ‘traitor’ to overweight women. Interesting being ‘officially fat’. It’s like an identity, eh? I used to identify with being ‘officially skinny’. Seriously, it was my claim to fame so to speak. I was unhealthy, but it was the mantle I wore. When I gained healthy weight with muscle mass, I had an identity crisis. Now I don’t identify myself by my physical appearance, but it took a lot of work. @Kelly – yes – things don’t always go to plan, do they?! Thanks, Kelly. @Davina – I think I’ve always had a fear of childbirth, too – and I haven’t had children. @Evelyn – yes – you would go to someone for one-to-one sessions, and can do it by yourself when you are used to it. I can give you some contacts by email, if you would like to look into it. @Urban Panther – aint it all about change! Hi Robin – I read this the other day but I was knackered, so I had to go away and think about it. Being born is supposed to be one of the most traumatic experiences of our lives, no matter how “good” the birth was. I had a planned caesarian with my second child, for medical reasons but she still screamed the place down when they pulled her out. I did read somewhere that by the time we’re two years old, we forget about the trauma of being born. But maybe the memory is there in our subconscious and we’re reminded of it in certain situations I guess. Liked the post very much. I had seen in various films and cartoon strips a doctor slapping at the back of the new born child. but after reading your post felt very bad. Never thought like it before. We should also remember the mother who also suffers the pain many times. @Cath – glad you are not so knackered now – I’m putting this forward as one more piece of the puzzle, really. @Harneet – hi there and welcome! Yeah – it’s funny how we have accepted that treatment of babies in the past. After reading this post, I just thinking about the tendency of many women who choose “Cesarean section / C-section” rather than gave birth normally. Most are not because of medical reasons. According to you (especially as a woman) whether this tendency could be said “sabotage ourselves”. Robin, this is the first time I have heard that how we are born affects who we become at a later stage in life. It is something completely new to me, but of course, I would always choose a gentle birth for my baby. I think what you propose does make sense. I have worked with adults who were abused as children and there is definitely muscle memory involved. Reiki also operates on the principle of healing abuse held at the physical level? And the self-sabotage part? I once had a person who overeats tell me that she didn’t eat to comfort herself but to punish herself. OUch! Good post, as always! G.
Hi Robin – I’m back again. I was watching a documentary last night about a 7 year old girl who’d never eaten – she had to have a tube in her stomach. Well, she went to Switzerland to a special hospital for 3 weeks. Apparently, she had a really traumatic birth with tubes everywhere and this affected her eating. They did some kind of special massage therapy on her and she was really upset. They said that they were relieving the stress of what had happened to her in those first few month. But while they were doing the treatment, she was able to remember exactly what had happened. Anyway, I thought you might want to know about it – as it’s clearly related to what you’ve written. @love-ely – Hi Tikno – Maybe some women who choose cesareans for non-medical reaasons are influenced by subliminal feelings they have retained from their own births – just a thought. @Sharon – hi there – luckily there’s a wider range of birthing choices available these days! @Grace – at least that overeating person was in touch with her feelings enough to be aware she was doing it! I think maybe any physical therapy, eg Reiki , massage/deep tissue work, chiropractic etc can help release stuck body memories? @Cath – how interesting! I wonder if she let go of that stress and could eat normally. This is all new to me. It would make sense that all this could be true. I am all about gentle birth. I sometimes wonder with Dylan, my second child, if his birth has something to do with some of personality traits. I was very sick with my second pregnancy and I had a long 26 hour labor with him. I did have natural birth but he came out with a broken collarbone. He is a very sensitive child and I just really think this has something to do with it. I would love to do some research on this. I was struck by what you said about our rush to stop short of true aliveness. I’ve tired many substances over the years under the illusion that I would feel better. Yet it’s life in all of its raw glory that truly brings us alive. I can remember the beating down I got as a youngster and all the deep healing I needed to do to feel more natural. Sure it’s all connected. I’m going to see what my Mom remembers about my birth. Thanks for replying to my question. Is your contact someone from Australia? I’m not sure how I can do a one on one when I’m from Singapore. However, I don’t rule out going to Australia in the near future, since we are not all that far apart! @Tammy – lots of people have experienced healing by releasing stuck memories, using breath. @Tom – I love your statement “it’s life in all of its raw glory that truly brings us alive” – a lot of people who use substances don’t realise that, I think. @Patricia – that quote from Marianne is about exactly the thing I was talking about! @Evelyn – I’ll write to you about it. Hi everyone – I’ll be in the mysterious land of no internet for the next several days, and I’ve decided to not do a post before I go – mainly because my neck has started seizing up every time I sit at my computer typing (I’m being careful before I go away). So I’ll see you next week! Please remember to send me your RECORDINGS by mid-December! I’ve been following you from bloggingwithoutblogdotcom. I’m impressed reading this post, admiring one. I’d like to have a link to your blog, placed into my inspirer page. May I? Have a nice activities, then, and thanks a lot. Great article Robin…I could understand why the book brought you to tears. I would probably be in the same situation. I wonder if doctors know about this book? I’ve undergone healing arts work, and it seems some pre-birth trauma affected my sense of self. Who knows how much we pick up in those 9 months? I’d love to have been born with such peace, so I try to heal that part of me with different healing modalities, including NLP and the like. SpaceAgeSages last blog post..Myth, Supersition, or The Real Thing? I’m back! – but not fully functional, after 5 days at a music festival with very little sleep. @dhoni – hi there and welcome! Thankyou for the link on your page! @Natural – I don’t think fear is a protection – I think intuition is. I guess we’ll have to disagree on this one! @SpaceAgeSage – hi there Lori – yes – I think there are lots of ways we can heal ourselves of the various stuff we picked up in our early days. Those are awesome pictures! There is so much room for improvement in our “civilized” world, in the way we treat babies, children, animals and each other. This is a really nice post. I remember first hearing about Leboyer in the sixties, and it seemed like a great idea — however, I didn’t end up ever having kids. I’m excited about your recording project. It’s a really nice way to share your talents to benefit us all. I hope people aren’t too busy or too shy to participate. Man…I wonder what my birth must have been like? I imagine it was interesting and complex…but exciting. All much like my life! @Dot – yes they are, aren’t they? 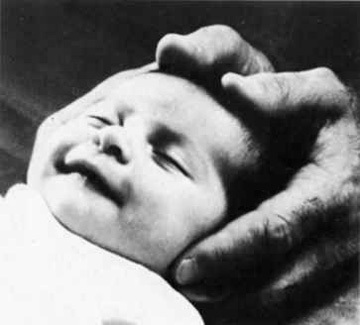 I think things have improved, but many people still believe newborns have no feelings, or that they don’t matter. @Clem – sounds like it was exciting, indeed! I agree that being born is to suffer. Not in the sense that the act of being born is painful (maybe it is I don’t remember), but that living in this imperfect world can lead to heartache. Unfortunately, we are born in sin to sinful parents. There is a remedy if we choose to pursue it – Obeying our Almighty God and putting faith in His son and the ransom he provided to release us from our sinful condition. Then we can be a part of what it talks about at John 17:3, “This mean everlasting life, their taking in knowledge of you, the only true God, and of the one whom you sent forth, Jesus Christ.” Of course we have to couple that knowledge with exercising of faith (John 3:16). As far as why we sabotage ourselves, I think most people are merely resistant to change, unsure and insecure about their own abilities. Many times I think those problems stem from issues encountered in childhood and adolescence, not necessarily just the act of being born. I would like to know how the babies who experienced peaceful births noted in this book are faring now as adults. Are they as successful and blissful as the author suggests they should be or are they no different than the rest of mankind? I would really appreciate it if you could stop by my weight loss blogand tell me what you think. I’ve thought about this article a great deal. My husband and I have talked about this subject for quite some time. I was born under the twilight drink-a cocktail served to women in the seventies. I was born in a daze. I made sure when my son was born it was all natural. The hospital staff were stressed out and wanted to do intrusive things right away, but Steven kept them at bay! 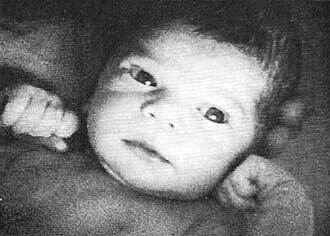 Baby Ronan had to nurse first, and be loved, nurtured and adored. I was going to give birth in a birthing center and three days before my due date, my midwife was fired and was unable to deliver him. So that which I was trying to avoid, I had to embrase. We had to be serious warriors the next few days. Hospitals and birthing are a tough road for many women. And as I talked to women about their birth experiences, many don’t realize that alot of the procedures used are unnessessary, abusive and dangerous. And all to often if I talk about that, they defend the doctors and staff. When to me nuturing and saftey are first. It’s a hard subject. And getting back to my own birth experience, I can spectulate on similar patterns I still experience. Breathing patterns especailly. It’s a great topic and thank you for your wonderful article Robin! I just thought of something. The birthing process is a reflection of the culture. Painless quick and easy. But none of those things can actually be delivered! Alot of women and men are returning to the natural way, the way we were designed. A good strong labor and lots of support! @Shannon – thanks for your comments, Shannon. It’s funny how the divide continues – many parents see the value of going natural, while a lot still defend intrusive, unnatural methods fiercely. @John – Hi there John and welcome to this blog. I look forward to exploring your writing more, soon. Hi there Doug – thanks for expressing your views. I think we, including our physical bodies, are part of God’s creation, and that we are not fully functional until we have got all parts of ourselves working well together – a slowly dying body is not working well. I wonder what you mean by “limitations of the physical realm” – you don’t believe we have the power to create heaven in any dimension? (including the physical one?) It’s perhaps funny, but much of what you are saying expresses the physical immortality mindset perfectly! – for example – “I prefer to die to the human (the death path) in order to be reborn into the eternal life of the spirit (our spirit creates all parts of ourselves)”. Sorry to depress you! Ridiculous. “First experiences” are unlikely to have any impact on later behavior. Wow! This article really puts a very valid point out there. I think this may have a LOT to do with how we perceive the world. Anyone who thinks otherwise needs to do more research! Well done, Robin! .-= Bren Parks´s last blog ..Enlightened Life Magazine =-.